PRELIMINARY RESULTS OF EXAMINATIONS OF LEHUA “MULLET” FISH ARE INCONCLUSIVE, FULL ANALYSIS OF ENVIRONMENTAL SAMPLES FORTHCOMING. (HONOLULU) – As part of the Lehua Island Restoration Project, the USDA APHIS Wildlife Services/National Wildlife Research Center (NWRC) has collected a range of environmental samples both prior to and following the application of rodenticide to the island. In addition to fish, water, soil, crab, and opihi samples originally planned as part of the project’s monitoring efforts, the NWRC also collected and reviewed 45 samples of a mullet-type fish that were found in tide pools on the north side of Lehua during the operational period. Both NWRC and the Hawai‘i Dept. of Agriculture show the samples were in a “severely degraded condition,” making it impossible to determine whether the mullet-type fish were affected by diphacinone or died due to other factors associated with being trapped in tide pools; such as high temperature or limited oxygen. It is also not clear whether or not the fish were intentionally placed in a tide pool on the northern side of Lehua Island. 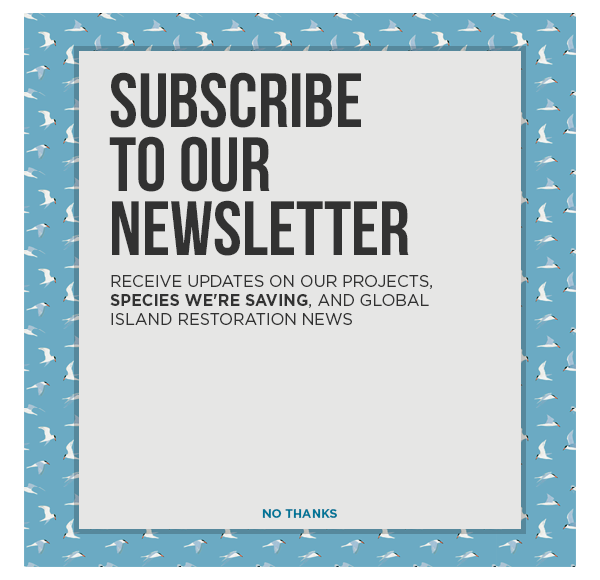 Partners in the Lehua Island Restoration Project, aimed at eradicating invasive rats from the State Seabird Sanctuary on Lehua, became aware of videos on social media, after the second aerial application of the anticoagulant rodenticide, diphacinone, in early September. Approximately 45 mullet-type fish in varying states of advanced decomposition were collected from a tide pool on Lehua on 5 September 2017 and shipped to the Hawaii Department of Agriculture and NWRC for diphacinone residue analysis. Preliminary results from USDA’s visual examination of the specimens show external and internal signs of UV fluorescence from the pyranine biomarker incorporated into the diphacinone bait. However, because the internal organs such as livers and stomachs were decomposed, the results are inconclusive as to whether the fluorescence resulted from consumption of the bait or immersion in the tide pool where bait pellets dissolved. Chemical analysis of the degraded tissues will likely be unable to determine if the fish died from ingesting diphacinone bait or absorbed diphacinone after dying of other causes. A final report regarding the mullet-type fish will be included in the results of the full environmental monitoring analysis of samples collected before and after bait application, including samples of multiple fish species, seawater, soil, crabs, and opihi.